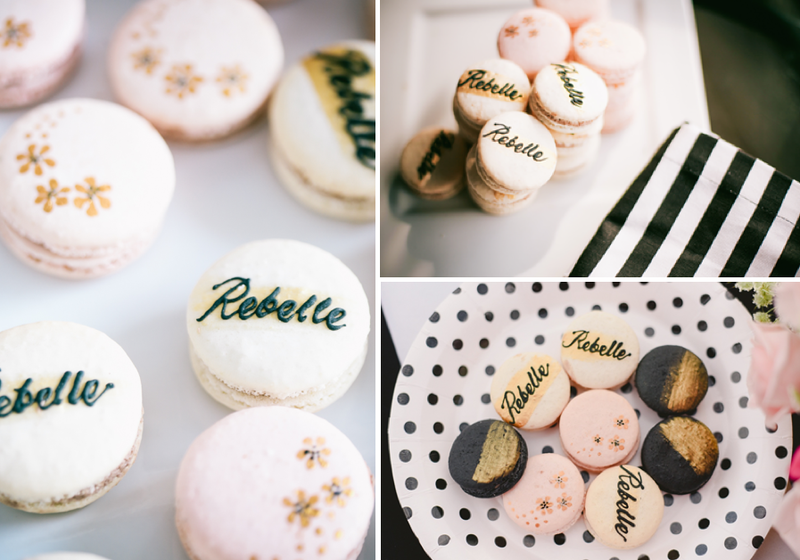 Here's for all the rebel brides out there with a sweet tooth. There's always something to add on the dessert bar--whether it's the wedding cake, donuts, cupcakes, and macarons. We are all for it! "Bite Me" is sweet, fancy, with a little bit of edge. Flavored with white chocolate and vanilla filling, it literally has that tempting look (and fragrance) that would provoke you. This idea was challenging at first, because pulling off a statement piece, and all the while keeping it clean, is challenging. But I would have to say that's what makes creative ideas quite unforgettable. But once we got to streamline the concept with Rebellious Brides, the task became easier, and we got to play around with the designs. 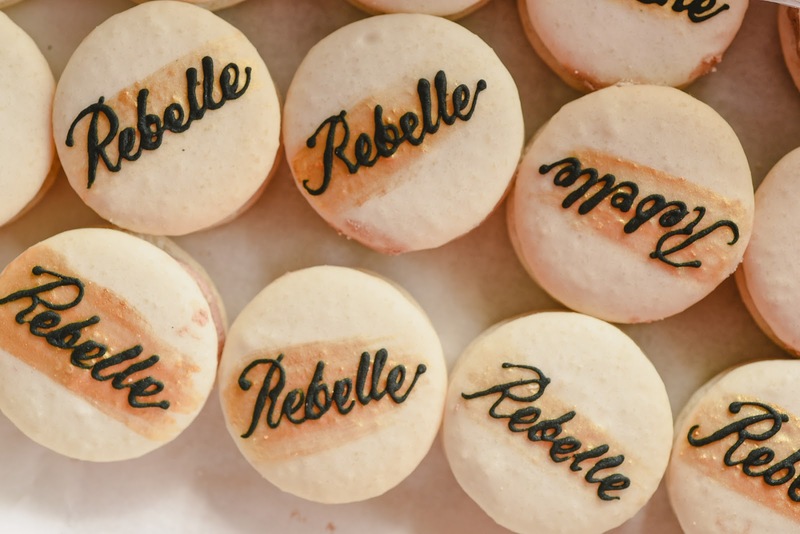 I would have to say that these macarons are bold but at the same time "demure" -- and that's what made it unique. Macarons, as small and reserved as they are, can have a lot of accessories. The cost to have a "Bite Me" macaron set is P650 per dozen (as of this writing). Which is a competitive price considering how much macarons go for these days. Plus this one is customized to your own theme and it's quite delicious too! What do you guys think of these macarons? Is it something that you might consider?